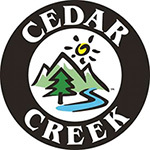 Established in 1977 as wholesale building materials distribution company, Cedar Creek provides the highest quality lumber available from the most reputable vendors in North America and internationally. For over 50 years, Hixson Lumber has adhered to the policy of providing their customers and lumber yards with consistent quality and exceptional service. Louisiana Pacific stands for providing their customers with only the best. LP is a leading manufacturer of engineered wood building materials, including both treated and untreated lumber, that perform better and last longer.